to lilac and even yellow or white examples have been found on rare occasions. D. incarnata is certainly a variable orchid and a few of the more frequent variants have received named recognition. 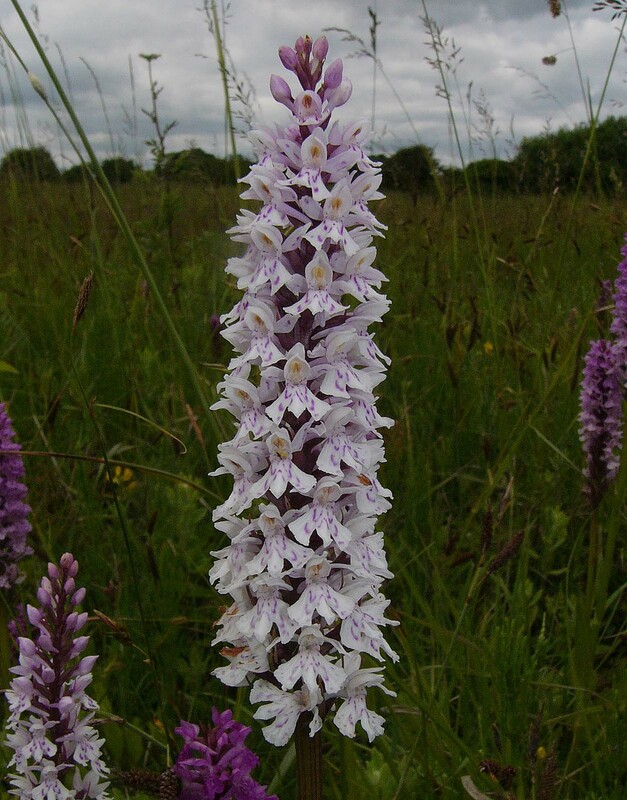 This is an extremely widespread orchid with a Euro-Siberian distribution that takes it from Spain in the west, across Europe and Asia to China in the east. 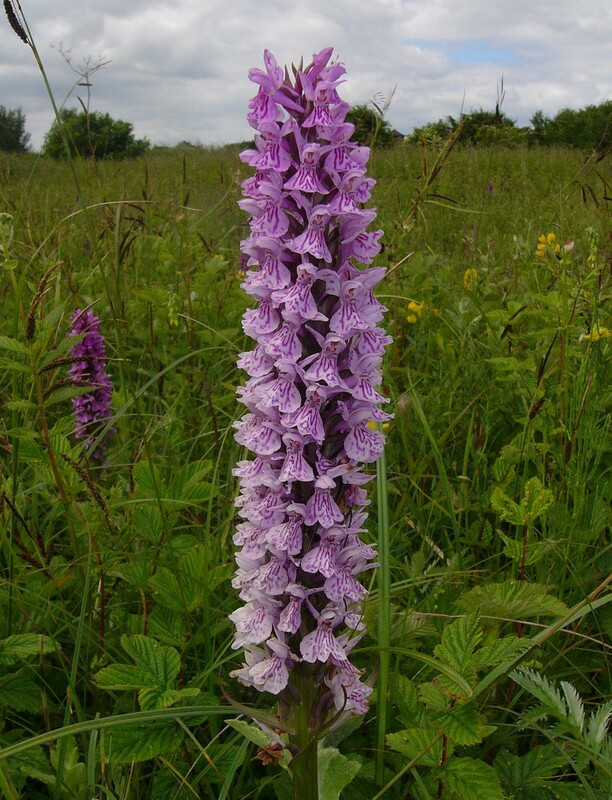 Throughout its range it can be found growing in damp conditions on alkaline or neutral soils up to altitudes of 2500 metres. 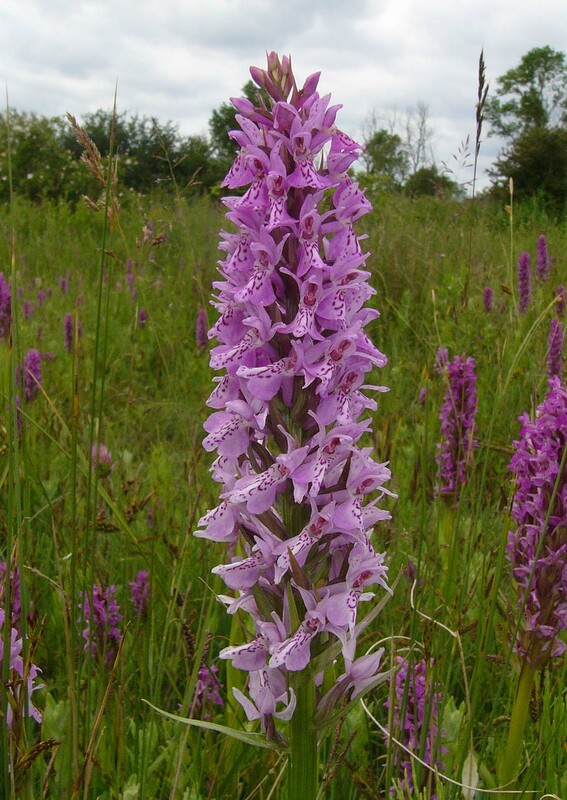 In Britain and Europe it is mainly to be found on coastal sand dunes, fens and damp meadows, often alongside other species in the genus, where hybridization is frequent. 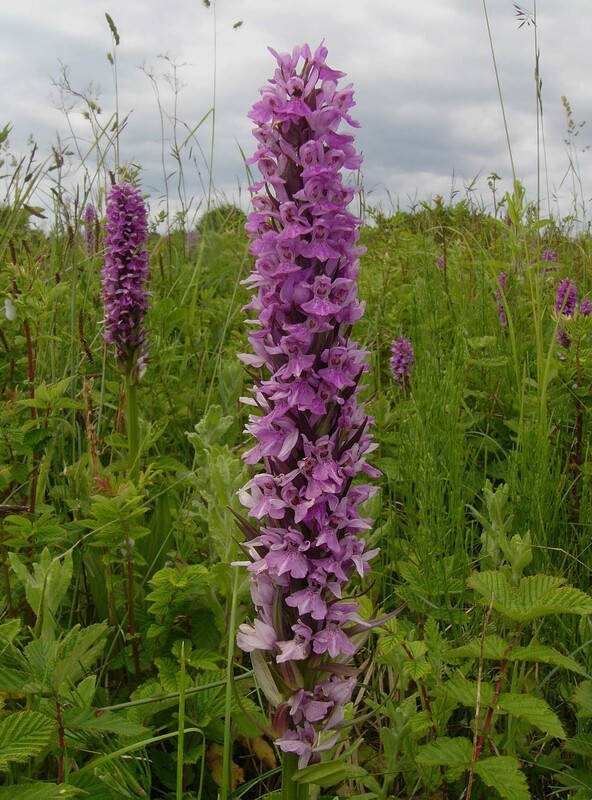 There is a well known population of marsh orchids at Ferring in the south of England where D. incarnata, D. fuchsii and D. praetermissa have inter bred to such an extent that locating pure specimens amongst the thousands of plants is all but impossible. In Britain and indeed throughout the mutual range of the two species, D. incarnata x fuchsii is one of the most commonly encountered hybrids and it has been formally recognized and named D. x kerneriorum. Despite the fact that both parents are diploid, these hybrids plants are usually sterile and tend to be isolated except where ( as at Ferring ) there are huge numbers of potential parents. Appearance is variable and as can be seen from the photographs, plants may favour either parent to the point of being virtually indstinguishable as a hybrid at all.